The Philles Album Collection doesn’t compete with Back to Mono; it complements the earlier set. And it’s the first time in my lifetime that I’ve seen Spector’s hits—decked-out and frenzied as Christmas trees—presented along with their sibling album cuts. Six of the seven discs you’ll find here reproduce LPs released on my dad’s own label. The seventh contains rare instrumental tracks. Hearing them come together is like watching the Wall of Sound’s carpenters at work. Read more at The New York Observer’s Very Short List. The Philles Album Collection Gets Four Stars! In a new review, Audiophile Audition has given “Phil Spector Presents The Philles Album Collection” four stars, noting “its seven discs reproduce the greatest hits that Spector produced,” and it includes an entertaining disc of flipsides. Pre-order your copy today! The Vaults of Phil Spector Records Opened For DEFINITIVE Box Set! PHIL’S FLIPSIDES by The Phil Spector Wall of Sound Orchestra. Adding to the historical importance of this new box set, is the fact that some of these six original Philles album reproductions have never been officially reissued in their entirety in the CD era. PHIL SPECTOR PRESENTS THE PHILLES ALBUM COLLECTION is a limited-edition box set that is now available for pre-order at www.philspector.com in advance of the October 18th release date through Phil Spector Records/Legacy, a division of SONY MUSIC ENTERTAINMENT. The box set will also be available through all standard retail outlets. Arriving on the same date, THE ESSENTIAL PHIL SPECTOR is a brand-new 35-song, double-CD collection that lives up to its title as a desert-island gathering of Spector’s work during his peak hit-making years. It starts with his first record of note, the Teddy Bears’ “To Know Him Is To Love Him” (1958), then moves through Spector’s Brill Building productions of 1960-61, with Ray Peterson (“Corrine, Corrina”), Ben E. King (“Spanish Harlem,” the launch of his solo career), Curtis Lee (“Pretty Little Angel Eyes”), Gene Pitney (“Every Breath I Take”), and the Paris Sisters (“I Love How You Love Me”). THE ESSENTIAL PHIL SPECTOR then devotes itself to the litany of 23 hits on the Philles label. From the Crystals’ “There’s No Other Like My Baby,” through Bob B. Soxx and the Blue Jeans, Darlene Love, the Ronettes, the climactic trilogy of career-defining Righteous Brothers hits (“You’ve Lost That Lovin’ Feeling,” “Unchained Melody,” “Ebb Tide”), and Ike & Tina Turner’s show-stopping “River Deep, Mountain High” (1966). THE ESSENTIAL PHIL SPECTOR finishes up with the superb “Black Pearl” by Sonny Charles and the Checkmates LTD (1969). New liner notes are written by two acknowledged authorities on Phil Spector. Domenic Priore, ’60s West Coast rock aficionado, compilation producer, annotator, and author of Riot on Sunset Strip: Rock ‘n’ Roll’s Last Stand in Hollywood (2007), penned the essay for THE ESSENTIAL PHIL SPECTOR. Mick Patrick, a UK-based reissue producer/consultant to Ace Records, one of the foremost authorities on Girl Groups, wrote the essay included on PHIL SPECTOR PRESENTS THE PHILLES ALBUM COLLECTION. 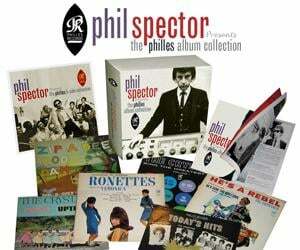 PHIL SPECTOR PRESENTS THE PHILLES ALBUM COLLECTION, with its seven CDs and 87 tracks, now far supercedes the 20-year old 1991 box set, Back To Mono (1958-1969) (ABKCO). 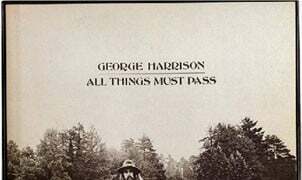 The latter housed three compilation CDs, and a reissue of 1963’s A Christmas Gift For You From Phil Spector. In October 2009, the Philles catalog came to Sony Music as the result of a licensing agreement with EMI Music Publishing. Not long after, a newly-remastered version of A Christmas Gift for You found a permanent home in the new Phil Spector Records/Legacy catalog. Wall Of Sound: The Very Best Of Phil Spector 1961-1966. PHIL SPECTOR PRESENTS THE PHILLES ALBUM COLLECTION now represents the ultimate collectible for Wall Of Sound enthusiasts. 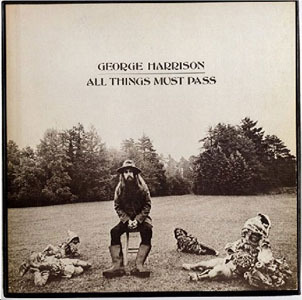 Of special interest is the bonus disc which gathers, in numerical order (Philles #107, Philles #109, and so on), the B-sides that Spector chose for his singles. Although some of these have occasionally appeared on vinyl, there has never been an entire CD devoted to them. “Brother Julius”: The eponymous subject of “Brother Julius,” the wild sax instrumental released as the flipside of the Crystals “Then He Kissed Me,” earned his living shining shoes in the Gold Star car park. To understand the impact of Phil Spector’s studio creations, consider the first big two-year break¬through of Philles Records releases, starting with the Crystals’ “There’s No Other (Like My Baby)” in November 1961 (Philles 100) and “He’s a Rebel” in September 1962 (Philles 106). 11. I Love You Eddie (B-side, Philles single #106). 12. I Love You Eddie (B-side, Philles single #106). 12. Look In My Eyes.